I had a few days to digest all the information I've gathered on NVIDIAs newest flagship video caption cards, the GeForce RTX 2080 Ti and RTX 2080, or the RTX 20 series. The features and specs pose no surprises to many like myself as rumors have circulated the Internet months before launch. In gathering up Intel on NVIDIAs newest generation graphics card, I have come away very impressed. Here's what you need to know from my perspective. NVIDIA introduces a whole new Turing powered architecture, infused with a ray tracing, potentially game-changing technology that will allow PC users to experience more realistic scenes in games, bringing fourth programmable lighting and shadowing effects for more accurate character and objects. Let's put aside NVIDIA's newest features on their graphics cards and focus our attention on the specs. 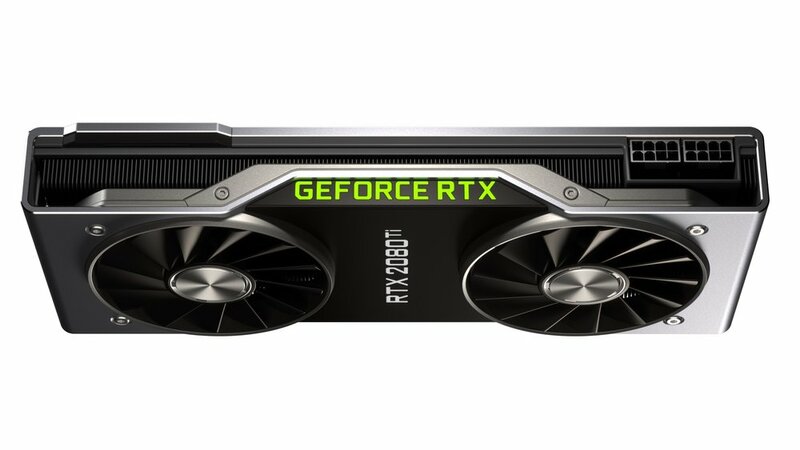 Staring with the GeForce RTX 2080 Ti the top founders' edition, you have an astounding 4,352 CUDA cores, 1350 MHz base clock, 1635 MHz boost clock, 11 GB GDDR6 memory, a 14 Gbps memory speed, 352-bit memory interface, 616 GB/s memory bandwidth. The RTX 2080 variant, spec numbers are a tad below the 2080 Ti, still a potent graphics card. The CUDA count is at 2944, base clock measuring 1515 MHz, boost clock at 1710 MHz, 8GB GDDR6 memory, 14 Gbps memory speed, 256-bit memory Interface, 448 GB/s memory bandwidth. In looking at the Turing architecture in detail, is quite capable of delivering high-performance that's 6X greater than Pascal ( which was introduced two years ago), but this is all based on a claim from NVIDIA. With existing games on the market, you probably won't see a big difference in performance over Pascal, at least not yet. With Ray-tracing, it's made possible by a Turing based GPUs that have an mass number of transistors, 18.9 billion to be exact and three individual processing engines. Though GeForce RTX will support SLI, the connector itself will replace with NVLink providing a faster link between cards in multi-GPU configuration at 100GB/sec. Another added new features in this SLI config is VirtualLink, this is an all-new USB-C base one standard that will connect next-generation virtual reality headsets using just one cable for power output and data. When it comes to cooling, NVIDIA has deleted their blower-style setup and gone back to a dual-fan configuration. 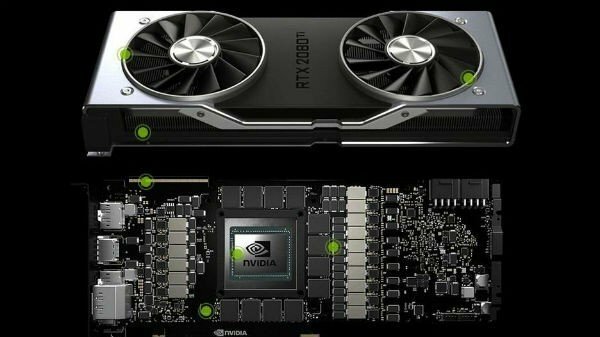 Leaked images on the Internet shows a customized GeForce RTX 2080 and GeForce RTX 2080 Ti having as many as three fans. In regards to pricing and availability, the GeForce RTX 2080 Ti will go for $999, while the RTX 2080 will have a $699 price point. Pre-orders are readily available and will start shipping on September 20th. The GeForce RTX 2070 which I didn't mention in this post will launch a much later date; the price will start at $499. The NVIDIA Founders Editions graphics cards will be priced at $1,199, $799, and $599.